Melting furnace with pump dosing device (Fig. 1, Ing. 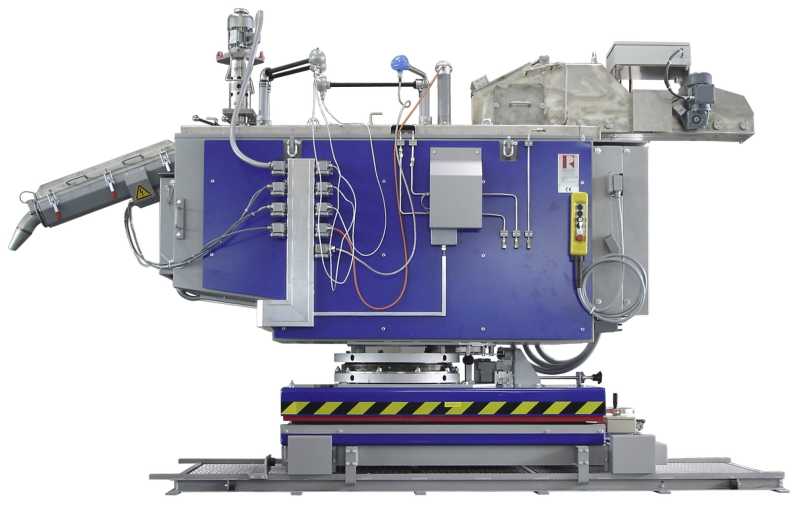 Rauch Fertigungstechnik GmbH) which controls how magnesium alloys are kept warm under controlled and safe conditions and makes it possible to automatically dose a magnesium melt into the filling bush of a cold chamber die casting machine. A magnesium melting and dosing furnace is usually designed as a two-chamber crucible furnace (melting chamber and extractor chamber). The two-chamber construction makes it possible to keep the melt level in the extraction chamber constant so that the casting conditions remain stable. The extraction chamber contains a dosing pump with a dosing accuracy of ± 2 to 3.5% of the shot weight (depending on the operating conditions). The furnaces are available in sizes with a maximum melting rate of 1,200kg/h (Fig. 2, Ing. Rauch Fertigungstechnik GmbH) with electric heating or, alternatively, gas-powered heating. The heaters and their regulators, as well as the shielding gas supply, are separate for the melting chamber and the extractor chamber. a magnesium heat-up and loading machine (magnesium pig heat-up device) is included to dry and feed the pigs. The furnaces can be equipped with an upward (Fig. 3, Ing. 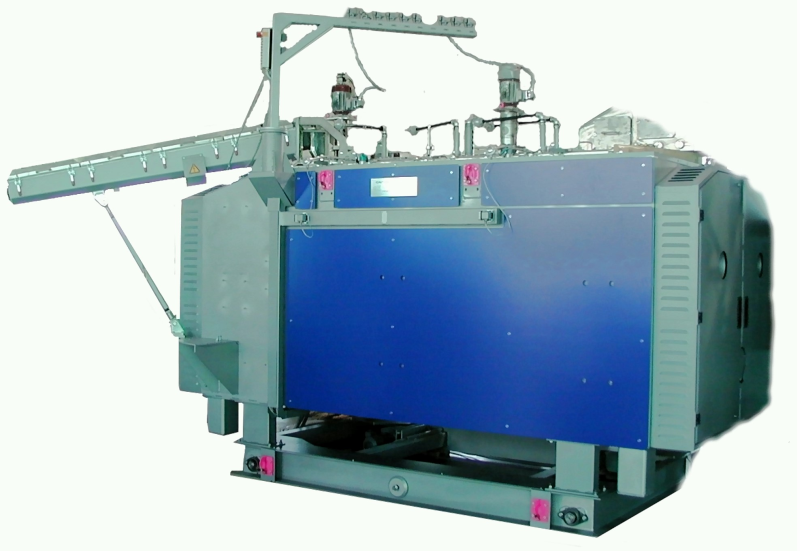 Rauch Fertigungstechnik GmbH) or downward dosing system. In practice, dosing weights of 200 grams to 30kg are used. The dosing system has an accuracy of ± 1% depending on the dosing amount. 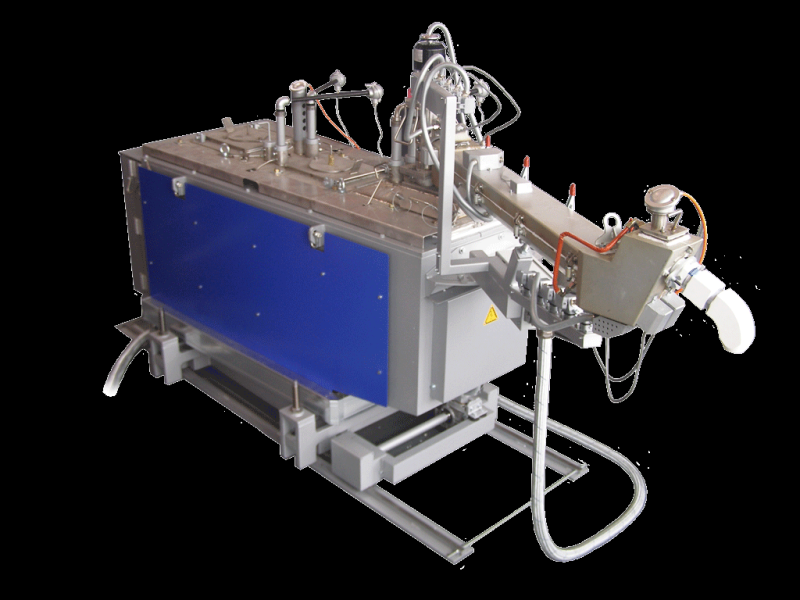 Two die casting machines are loaded with liquid magnesium, whereby the return is recycled directly in the cell (Fig. 4, Ing. Rauch Fertigungstechnik GmbH). The magnesium pigs are placed on the chain conveyor of the heat-up station by de-stacking robots. The magnesium pigs are heated up here in order to ensure that the pigs are dry. The heated magnesium pigs are then transfered to the melting furnace via a lock by a chain conveyor and linear thrust unit. The liquid magnesium is transfered to the dosing furnace by a transfer system. The melting furnace is designed in such a way that it can supply two dosing furnaces with liquid magnesium at the same time. The liquid magnesium is transferred out of the dosing furnace in exact portions according to the die casting machine’s requirements. After the shot, the casting is taken out of the die casting machine with a robot and placed in a cooling tower. The robot then picks up a part which has already cooled and transfers it to the trimming press where the sprue and the overflows are separated. The sprue is then put back into the melting furnace and melted again. The mixing ratio between new and recycled material can be set on the control unit’s operating terminal.